The Norwegian Labour Party has settled on a new deputy leader to replace Trond Giske, who’s been in trouble over several charges of sexual harassment. Bjørnar Skjæran, a farmer from Nordland who isn’t nationally known, is now expected to assume one of Labour’s highest positions after the party’s national annual meeting next month. 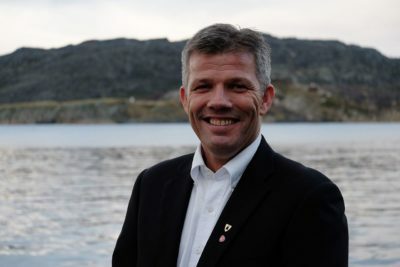 The party’s election committee has proposed Skjæran as its candidate, clearly with the solid support of Labour Party leader Jonas Gahr Støre and others in the party’s leadership. It’s important for Labour to have some top decision makers from outside the so-called “political elite” in Oslo. He’ll join Hadia Tajik as co-deputy leader. She’s originally from Rogaland on Norway’s southwest coast, but has lived many years in Oslo, making it even more important to bring in a voice from another part of the country. Skjæran, age 52, has a long career as a Labour politician and been a member of its main national board (sentralstyre) since 2013. 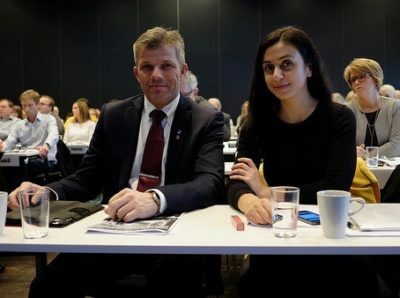 He’s currently leader of Labour’s Nordland chapter and played a major role in reaching a compromise on the thorny issue of oil and gas exploration off Lofoten, Vesterålen and Senja. His chapter has since decided it wants no such exploration after all. He ran a farm and worked as an accountant in Stokkvågen while also being active in Nordland Arbeiderpartiet and as a locally elected official since 1987. In 2011 he was elected mayor of the Lurøy municipality where Stokkvågen is located and appointed head of the party chapter, jobs that left him as a full-time politician since. Now he’ll replace Giske as deputy leader of the party on a national basis, an announcement this week that was another blow to Giske’s own long career in the party. He’d been suspended from the post and later stepped down after the allegations of sexual misconduct over many years caught up with him in December 2017. Giske had been prime for a quick comeback but that didn’t sit well with many Labour members who felt it was too soon. His party faithful in his home district of Trøndelag remained loyal and were ready to re-nominate him to new, powerful positions until he opted to visit an Oslo bar late at night and a video of him dancing with young women was published on social media. That set off more protests, not least after newspaper VG picked up on them. The paper was fending off serious charges this week of misrepresenting the late night incident in its coverage coverage that Giske’s supporters likened Friday to a “political assassination” in newspaper Aftenposten. The bottom line, editorialized the Labour-friendly newspaper Dagsavisen on Friday, was that Giske himself had concluded that he “never should have been” at the Bar Vulkan in Oslo, or posed for photos and video while out dancing in the middle of the night. The episode had left commentators wondering whether Giske “hadn’t learned anything” from the events of the last year, and reinforced his image as behaving in a manner that was not in line with his position. Skjæran represents a fresh face for Labour at the national level, at a time when there also was ongoing tension between Giske and Tajik. All indications are that Tajik and Skjæran will get along and work to revive Labour in the run-up to local elections this fall and natonal elections in the fall of 2021.